Jana's Genealogy and Family History Blog: I'm Excited to be Serving as a RootsTech 2018 Ambassador! 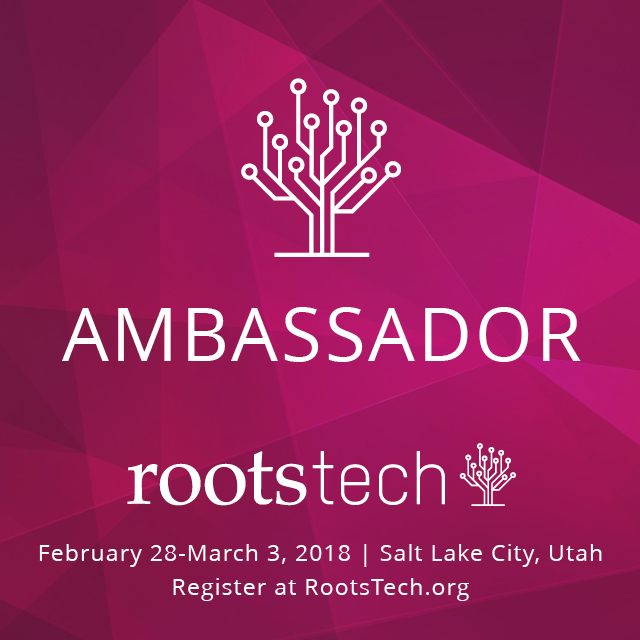 I'm Excited to be Serving as a RootsTech 2018 Ambassador! 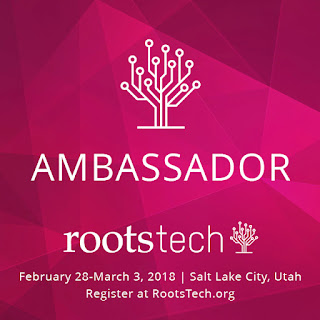 I am so excited to announce that I've been invited to be a RootsTech 2018 Ambassador! I served as a RootsTech Ambassador in 2016 and had a wonderful time attending the conference. I was invited to be a RootsTech 2017 Ambassador, but I wasn't able to serve that year because we moved into a our new home in early 2017. What is RootsTech you ask? It's the world's largest family history and technology conference, and is hosted by FamilySearch. RootsTech will be held in the Salt Palace Convention Center in Salt Lake City, Utah from February 28 - March 3, 2018. The theme for RootsTech 2018 is: Connect. Belong. Registration for RootsTech 2018 opens on September 20, 2017. To learn more about RootsTech 2018, click HERE. Thanks for stopping by and I hope to see you at RootsTech 2018! Congrats! I don't think I'll be able to make it this year, but hope to make it the following year. Congratulations! I have never attended but it sound like a fun way to learn new things & meet people.